Today, meet Carol. She is a breast cancer survivor and longtime supporter. 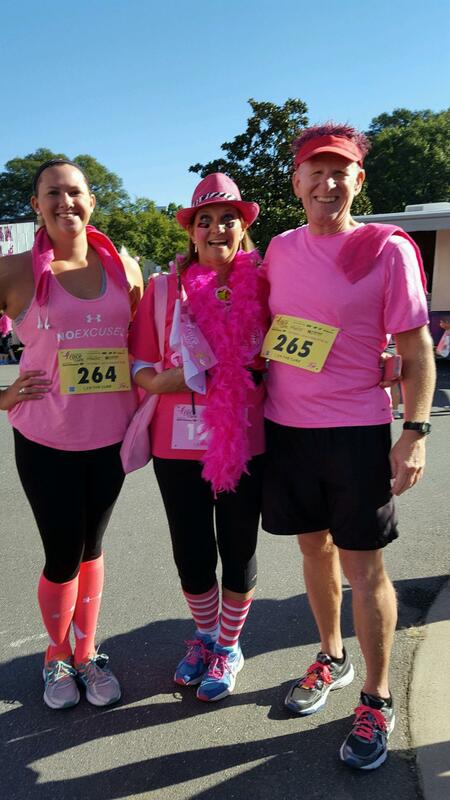 See how Komen Charlotte has had an impact on her journey. “Thirteen years ago, just before my 45th birthday, I became the first female in my immediate family to be diagnosed with breast cancer. My friend, Ann Lowe, became my mentor and confidant and had been actively involved with Susan G. Komen Charlotte since her diagnosis seven years prior. My first chemo treatment was in September, and my second took place a few days prior to the Race for the Cure, always held the first Saturday of October. The chemo knocked me down to a horizontal position on my sofa for several days, so I did not have the strength to go to Race. Ann was on the Race committee and participated in the 5k. She came to my house after the event was over, and gifted me with a “Survivor” bag full of goodies. I promised her, “I will be at the race next year. “ It was a long, difficult process during the months ahead, enduring chemo treatments and radiation along with several scares of more cancer along the way. With treatments over in late May, by the first Saturday in October the following year, I had a short crop of new hair, and enough energy to make it to the race. My husband, and our only child walked the 5k together and held hands as we crossed the finish line. This was a symbolic moment of putting the past year behind us, finishing the treatment’s grueling race, and celebrating along too many other survivors. There used to be a time when any cancer, including breast cancer was not discussed. It was a topic that seemed best to be kept a secret. Why, I have no idea. I know of no other organization that has brought focus to finding a cure for breast cancer and bringing the secret topic to the acceptable place of being talked about than Komen. I am grateful for the presence of this organization in my hometown community of Charlotte and the 13 counties for which this Charlotte affiliate serves. My husband and I have walked the 5k every first Saturday of October since the year after my diagnosis. Until my daughter went away to college, she also participated. I’ve spoken to groups about my journey, written a book about the emotional journey, with portion of sale proceeds going to the Charlotte Affiliate of the Susan G Komen organization, and have a team of loyal friends that come together each year for the race. This year I stepped up beyond creating a team for the race, and volunteered on the Race committee. A friend said to me once, “There’s a reason for everything.” My response to her comment, “Only if we make a reason out of the thing.” Two sisters made a reason out of a diagnosis that would rob them of growing old together by creating this organization. My diagnosis’ reason became volunteering with Komen Charlotte, writing a book, speaking to groups about the emotional impact of the diagnosis, and being intentional about living a life that is fulfilling. My daughter is now graduated from college, living again in Charlotte, and this past fall followed my footsteps and became involved in volunteering for the Race for the Cure. I pray we find a cure preventing her from having to fear whether she will one day follow in my footsteps of receiving her own breast cancer diagnosis.